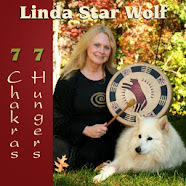 Musings of Linda Star Wolf, Co-Founder of Venus Rising Association for Transformation. News and happenings from Venus Rising; Isis Cove, the NC community that VR calls home; and Venus Rising University, the burgeoning, one-of-a-kind educational institution, offering advanced degrees in Psychospiritual Studies. Star Wolf and Brad are coming to Canada! Peru 12-12-12 Details have been added! Early Bird Deadline for Peru Trip is Approaching! 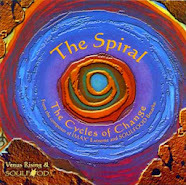 My journey in life has been a spiral path of wholeness that continues to move through cycles of change taking me through many symbolic death and rebirth experiences, which I refer to as “shamanic portals of transformation.” I have learned more than I ever thought possible through a process I will share with you in my future writings, called the Shamanic Breathwork™ process, and the five initiations process called S.H.I.P. Once I have made sense of the lessons on my path and discovered the bigger picture, I am ready to pass on and share both my stumblings and my leaps along the way. In my own spiritual quest, I have always appreciated most those who shared their struggles and victories in an authentic way. That will be my humble attempt within the context of this blog. I believe that we are all indigenous to this earth. I respect all my relations, whether they be human, animal, plant, mineral, visible or invisible ones. We are all related by the great web of life and sent here from the great beyond. Everything we say and do touches all parts of this magnificent web of creation. If I treat myself or anyone else unfairly, we are all affected in some way. Fortunately, the converse is true, as well. I am not perfect. If I am honest and have humility, I can admit that I will make mistakes as I seek to further evolve my conscious awareness. I can also make living amends by striving to change my negative thoughts and behaviors, and live from a more open-hearted connection to others and to myself. I have learned over time that all the changes I seek in the outer world must begin by looking within myself first. I have also learned that it is imperative that I have the courage to be honest with myself and to look at the “shadow” side of my personality. When I have had the courage to truly know myself better, the light and the dark, I have found the inner strength to change my life and shape-shift myself into the light of my true soul’s image. From time to time I will share different programs and events that are being offered through my non profit organization (Venus Rising Institute for Shamanic Healing Arts) in my blog, as well as photos, videos and teachings, etc. But the main purpose of this blog is to provide an outlet to share the inner musings of my shamanic spirit and journey, and to hear yours as well. 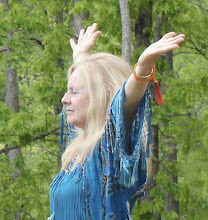 I look forward to connecting with all of you who intuitively know that you, too, are a valuable part of the shamanic process of conscious co-creation and evolution on the planet at this time. We each have a role to play and a soul purpose in the drama unfolding in our world today. Together we can create a better place for all beings on earth to live and leave a powerful legacy for those who are yet to come. Click the howling wolf to subscribe to Venus Rising's monthly publication! 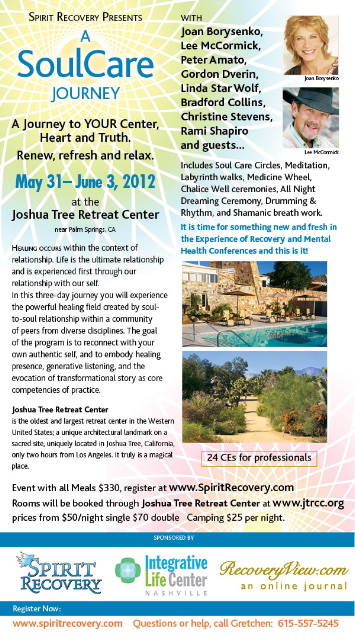 I do a great deal of my Shamanic Ministry through personal emails with clients, friends, and soul family. I also share my ministry on my blog by posting some of the responses I write to personal emails. I will never post anyone's names or personal information without permission, only my responses to the questions people are asking me. If you find my Shamanic Ministry helpful in your own journey, please share my blog with others in your life. Would you like to become a Shamanic Minister? Click HERE to learn more about the Shamanic Minister's Global Network. Deepen your spir­i­tual con­nec­tion, move from one phase of life to another, work on self-defeating behav­ior pat­terns, process and release addic­tions, walk through a dark night of the soul or dis­cover your sacred pur­pose. I wold love to hear your response to my blog articles. Join in the discussion by clicking on the Comments icon at the end of each article. Welcome to my Blog! I hope that you will return often to read my musings and share your own with me and other kindred spirits who tune into this frequency. I would like to begin by saying that although this blog is called the Aquarian Shaman, I do not consider myself to be a traditional shaman. I use the word shamanic to describe my spiritual path, my personal process, my training programs and institute, and how I live my life. I have had shamanic teachers in the past; I have both studied and participated in many more traditional “shamanic rituals,” but that is not who I am. My path as a soul seeker and as a spiritual teacher is the path of the open heart and through my own personal, direct experience. Authenticity and integrity are important qualities that I value and cultivate. I have learned repeatedly over the years that my inner voice, that I now refer to as my “Shaman Within,” is the best soul guide I have ever had and will never leave me, even in my darkest hour. This inner knowing has given me a huge reserve of spiritual energy and creativity, allowing me to manifest many things in my life that others have not even been able to imagine. I am eternally grateful for this precious gift and have a passionate desire to assist others in opening to their inner shaman as well. Click the VR logo above ^^ to learn more about Venus Rising's events and workshops as well as Venus Rising University's degree programs. What's sure to be a powerful confluence of Wolf Medicine from all walks of life, join the pack on Memorial Day Weekend (May 24-27) at Isis Cove in the beautiful Blue Ridge Mountains of NC - This year, a special emphasis on the Wise Wolf Pups' Camp, so be sure to bring the young ones in your life! Click the image above for details! 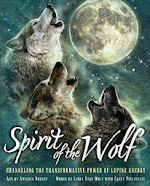 Click on any of the book covers below to: learn more about the esoteric teachings of Linda Star Wolf and her various co-authors; read book reviews; and find links to purchase online! Shamanic Egyptian Astrology: Your Planetary Relationship to the Gods. Co-Author Ruby Falconer is available for all types of readings: natal, relationship, transit, location, progressed and right timing of events. She is also available for talks and presentations. Contact her at (828) 586-1810 or email rubyfalconer@earthlink.net.